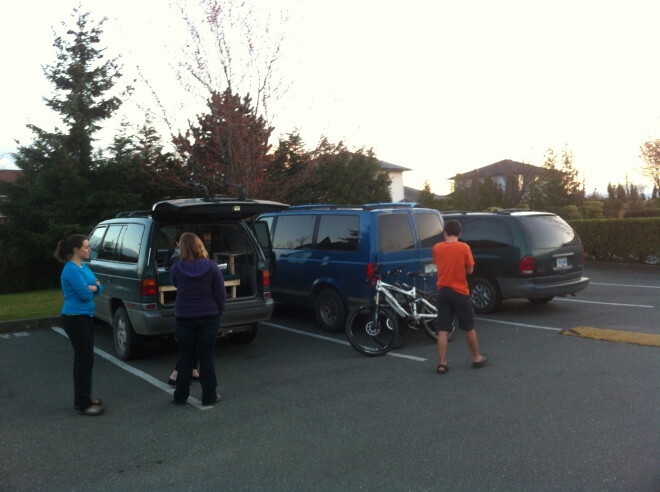 I have been back in Comox a few days now and as well as catching up with a few friends I have also made some good progress on the van. 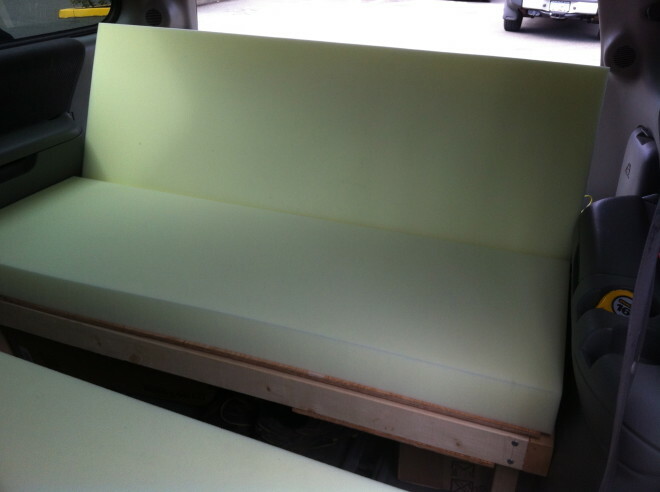 I picked up the custom foam sections I had ordered which really transforms the van into a cozy camper (I am currently writing this while sitting on the now foam covered bench in the van) and I have sorted the blinds, which I thought were going to be a lot more complicated than they were. 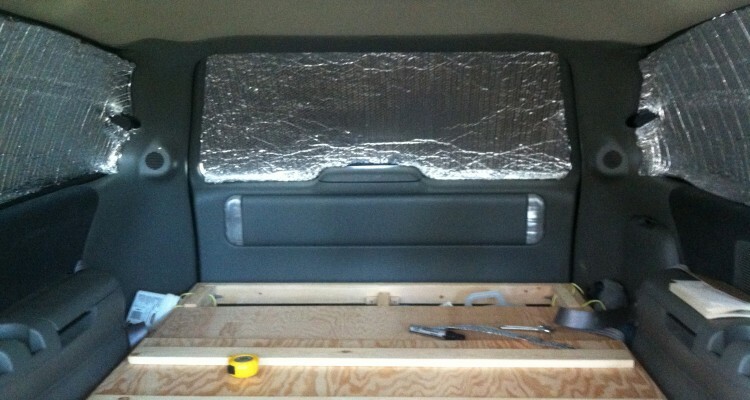 I knew I would need a covering for the windows in the van to keep light out and night and to provide some privacy. After giving it some thought I decided against curtains which I thought would be complicated to make and unless done perfectly (unlikely as I would be the one making them) I didn’t think they would keep out an awful lot of light. 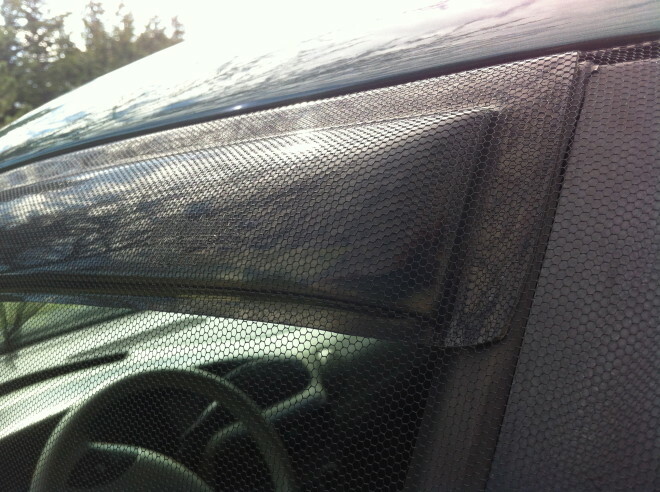 I started thinking about making blinds from either car sunshades or cardboard which could be cut to shape and pushed into place. 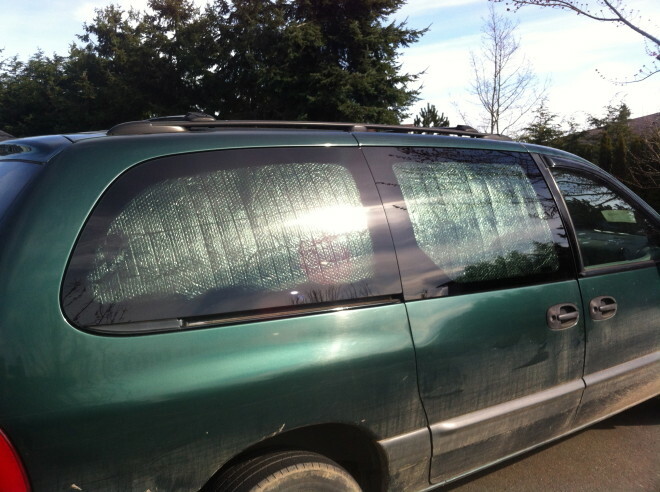 I wasn’t sure how I would fasten them into place but one suggestion I liked was using suction cups on the windows. While discussing this with Matteo, my HelpX host on Saltspring Island he mentioned that when he built his house he used an insulation material which looks like a tin foil bubble wrap, similar to the material used in car sun blinds which might do the job. A few days later he produced a surplus roll which he had left over from the house and very kindly said I could have (despite me offering him some money for it). I had a good feeling about this one! 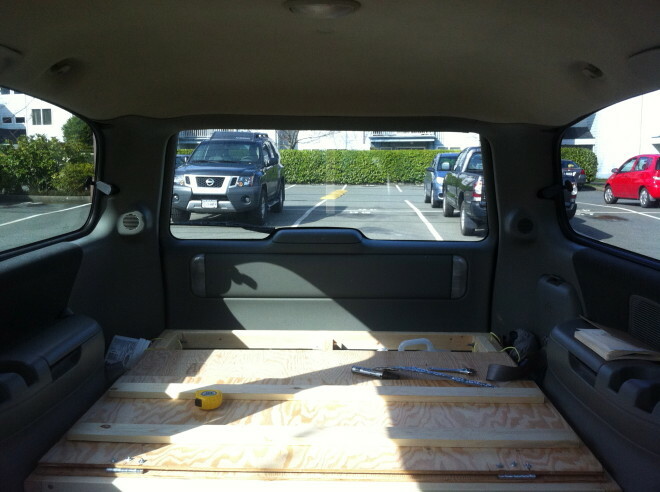 As a test I cut out a rough shape of one of the rear windows and pushed it into place and I was amazed at how well it stayed in place and kept flush to the window. 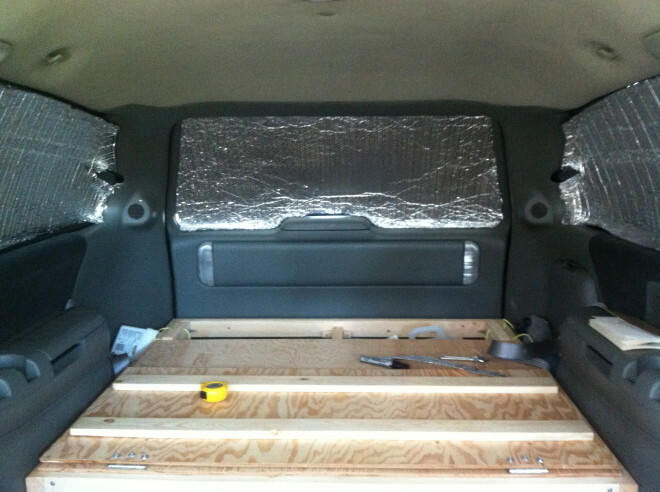 The material is also a little malleable so you can push it into the corners and get a good seal and as soon as I had one window done I knew it was going to be perfect for the van. The material should also have the added bonus of acting as a sun visor which I hope will keep some of the heat down in the summer. Checking in on the blinds at night demonstrated how well they block out the light, I even turned the interior lights on full and walked around the car and couldn’t see any light coming through. 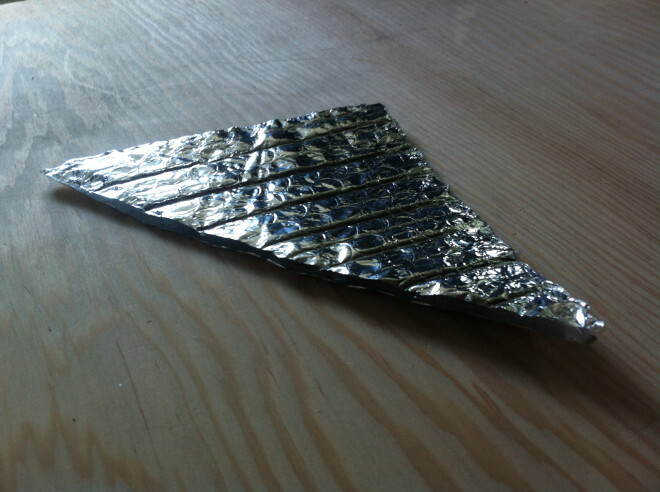 The blinds are also very fast and easy to put in and take out which is ideal, though i’m not sure how the material will last over time – the edges may get worn. But we shall see! It worked so well that Sam and Lucy abandoned their curtains when they saw it and went straight out to buy some foil wrap of their own. This gave me the kick up the rear end I needed to start thinking about it again. Sam and Lucy had also had similar thoughts, but hadn’t yet come up with an acceptable solution (but had found a place that sold pretty large mosquito nets for $1.50 – thanks guys!) The problem being that it is difficult to get a good seal around a window that can be opened at night without affecting the opening mechanism or any blinds/curtains that are installed. After a little research I found this photo which game me some inspiration. I decided to try and wrap the outside of an entire door in mosquito next, and that closing the door would trap the edges of the net and form a nice seal. Wrapping the net around the door was proving tricky but some sticky back velcro (included with the $1.50 net!) stuck to the inside of the door allowed me to fix it in place well enough before closing it in the door. The idea worked pretty well and I don’t think it will be too much of a pain to set up before going to bed each night, though i’m going to give it some more thought and see if I can come up with a better solution. Richard made a good point that getting adequate airflow in the van would require both windows to be open so I may end up covering both windows. I actually just found this video which I really liked the look of so maybe I will go a little fancier if I have time. The mosquito net covering the entire door and then trapped inside the door once shut. From a few meters away you can’t even see the net covering the door – nice for stealth camping! 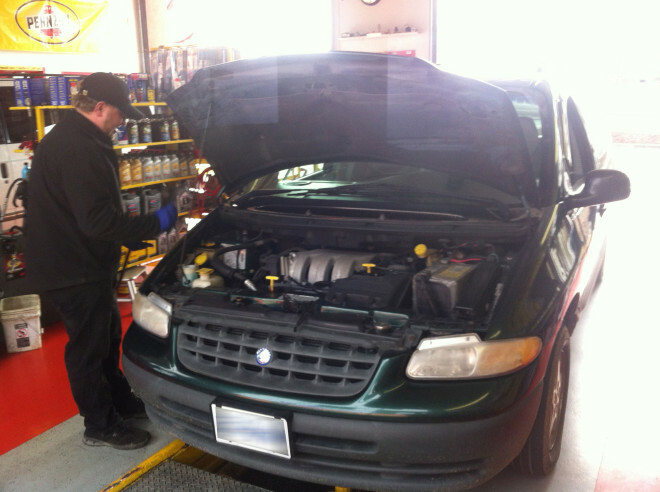 As we are both planning on doing some big distances over the next few months Sam and I went to get oil changes together – as well as replacing the oil and filter they also did some basic checks, topped up all of the other fluids and gave us some free wipers. They didn’t spot anything worrying which was nice. Last night we had a few people over to the apartment for a games night and Gemma and JR, Sam and Lucy turned up in their vans so we had a bit of a van-off! 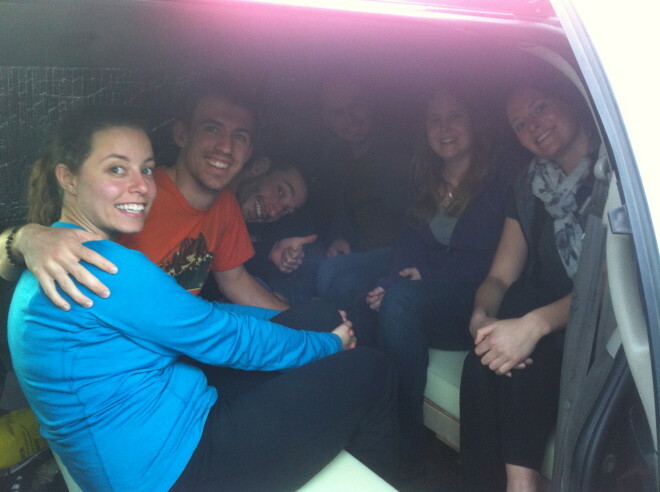 No ones van is quite finished yet and they are all pretty different so we had lots to talk about! 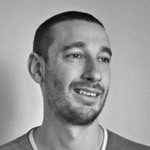 I am really enjoying the conversion and the challenges it has thrown up. It’s also really helpful talking to other people and especially knowing others doing similar projects that you can bounce ideas off of and learn from. It’s starting to take shape and in a few days we are all going for a camping trip so I can take the van for it’s first test drive. That shiny bubble wrap is indeed perfect for window shades. I used that very material to block my car windows when I would park my car at the train station thru the weekend. 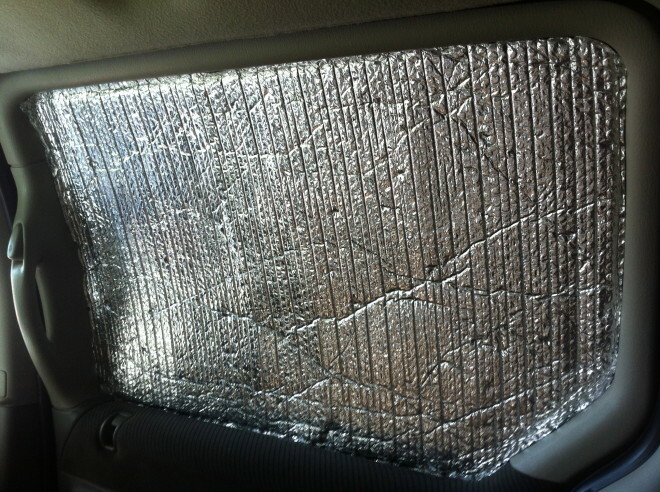 My only challenge was keeping it in place on the hatchback's rear window; for that I used thin wood dowels, sprung into place (like bows) at the corners of the window frame, to hold the shade up against the glass. These are easy to store when not in use. I found "morehawes" while Googling research for a long road trip. Thanks for sharing your journeys & ideas. Great idea on the dowel rods! I'm glad you found the site useful. Thanks sis, yeah I would be interested in seeing other options.